“Moonshine” is one of those historical footnotes people tend to associate with an old, bearded geezer fiercely guarding his illegal still in the backwoods of Kentucky or Tennessee, circa 1920. Flash-forward to May 9, 2018: A young entrepreneur and winery owner from the unlikely setting of Red Hook, a picturesque waterfront warehouse district in Brooklyn, N.Y., was arrested by city sheriff's deputies and charged under the state's Alcoholic Beverage Control Law with the illegal unlicensed manufacture and storage of 40 cases of spirits. Call the allegations a case of modern-day "moonshine" (slang for high-proof distilled spirits). A statement from the State Liquor Authority (SLA), which has yet to file administrative charges, called the Red Hook Winery's alleged illegal manufacture and storage of brandy and its by-product, grappa, one of the first such cases seen in New York City in decades. An SLA spokesman later said the last known case in the state occurred in Bronx County, N.Y., in 1960. 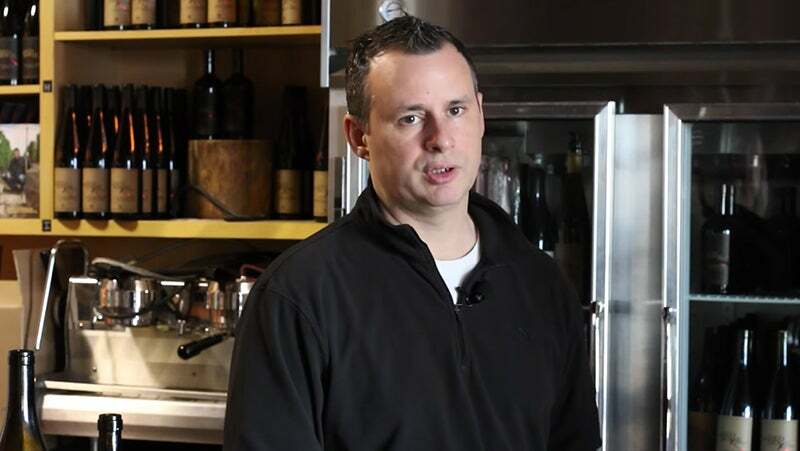 Mark Snyder, owner of the Red Hook Winery, however, plans to vigorously fight the charges. In a statement, he called his establishment "the spark for the New York Craft Beverage movement" and a valued part of the entrepreneurial community in other ways. "His arrest is shocking, given that he has been fully cooperating with both the TTB [the federal Alcohol and Tobacco Tax and Trade Bureau] and the SLA [New York State Liquor Authority]," Snyder's attorney, Diane Farrone, told Entrepreneur. "Mr. Snyder believed that he had all the necessary licenses and was actively working with both the [agencies] to determine if additional licenses were needed." Farrone added that Snyder had actually put the grappa "on hold" and that the stills themselves were not only disconnected but nonoperational. "Indeed, the TTB inspected it, post-dismantling," Farrone claimed. Christopher Riano, the general counsel for the SLA and the state's top alcohol beverages prosecutor, told Entrepreneur a very different version of events on May 9. That day, he said, he accompanied sheriff's deputies and TTB agents in a raid of the winery, following a tip. In a statement, his agency described four operational stills in the back of the winery and the distilling of "moonshine" without permits. The stills represented a fire and explosive hazard "powered by a makeshift electrical box with exposed wires that was installed directly above gas burners," the statement said. Snyder was ordered to dismantle this equipment, and the city electric company was directed to shut off the gas line to the spot. "I think the biggest fear in this particular instance was the fact that beside these homemade stills, what we found was a gas line and open electrical wiring, which obviously makes you concerned for the public safety and welfare," Riano said. "I'm actually a huge proponent of the entrepreneurial spirit," he added, praising New York State for "fostering an entrepreneurial spirit in the craft-beverge sector, whether it's beer, wine, cider or liquor. "It's not hard to get a micro-distillery license or one of our license types for this type of operation, and I think that's what made this in some part somewhat surprising," Riano said. The winery owner, Snyder, who was released without bail on his own recognizance, will return to court on June 4, his lawyer said, either for resolution of the charges or to start the process for lawyers' motions and a trial. In his statement, Snyder said he was connected to Angel's Share Wine Imports, which he said was created to support small producers. "Our business model encourages healthy competition, business transparency and integrity," the statement said. "We have successfully been giving the small guy a voice in the marketplace since 2004. We are proud of our ability to source, distribute and sell small producer wine from NY state and around the world."